1. new dud's feather scarf. 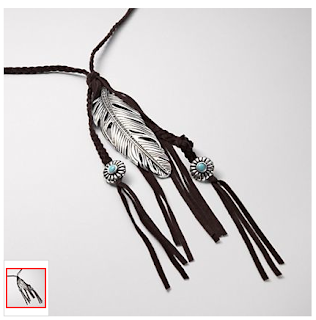 it's printed on an american apparel scarf with two different colors of feathers. 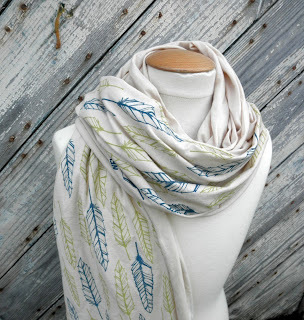 i have a crush on a scarf. see more of their great items here ((including lots of other feather goodies)). 3. spool no. 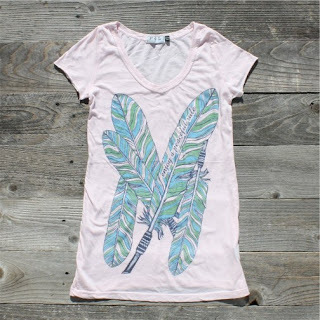 72's peaceful tee in pink. i'm not a pink girl...but you can't deny this shirt's cuteness. 4. i love everything in erin's shop, sunshine and carousels. i posted about her shop here. she has some SWEET new things coming out for fall, so check back. 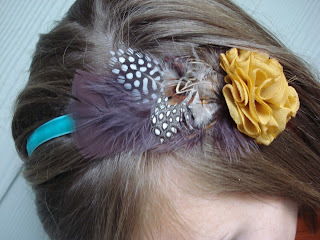 anywho, i normally don't like feather hair accessories...not sure why. 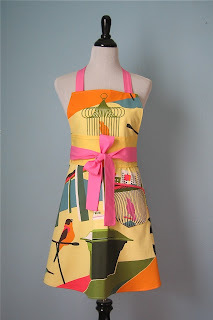 BUT, this is so unique and tastefully done. way to go, erin. 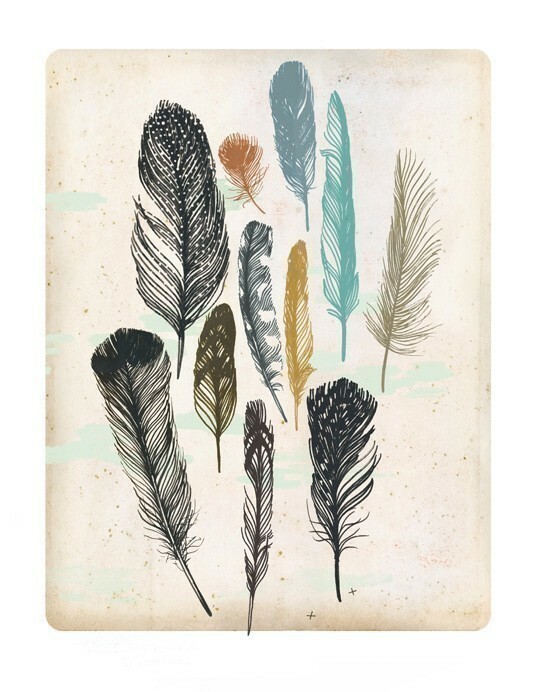 5. this feather print from groundwork on etsy. wouldn't this would look great in a vintage barnwood frame? the answer is yes. yes it would. here's a CUTE cute apron made from ikea fabric & made by pamwares! have a similar favorites post? link up! i'd love to check it out. 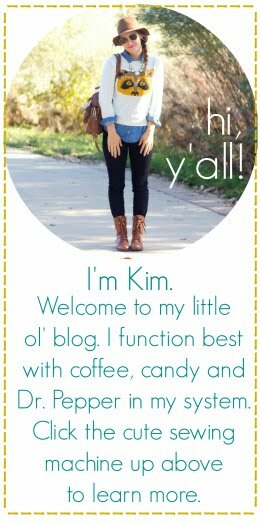 Ooh wow such lovely feathers, Kim! I really like the scarf. It's a cool way of doing feathers- I don't usually wear stuff that goes with the "Indian look", but I like the feather thing going on so...it's perfect! 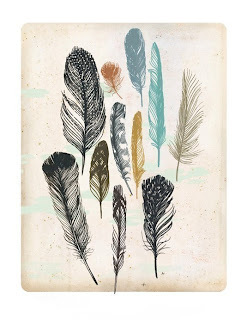 LOVE FEATHERS! My cousin has an Etsy shop (but currently closed so she can get caught up on custom orders) and she makes the most awesome feather headband on there. I, OF COURSE, own one. love the scarf! and the shirt and the headbands! i'm gonna invest in one of those headbands right now. That headband is so pretty!! And those are so in right now. Loves it! Oh, Dr. Hodges! I'll have to tell him he got spotlight!